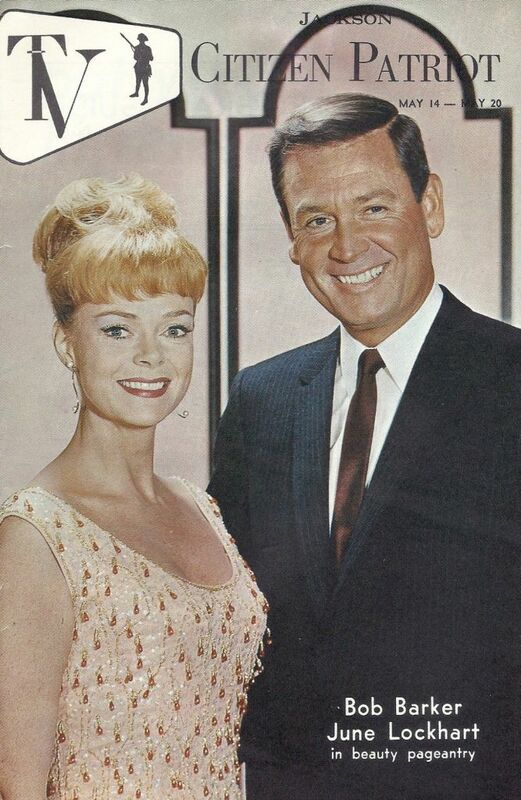 On the cover is June Lockhart and Bob Barker. The guide is a 1967 Jackson TV Citizen Patriot guide magazine. The guide cover was promoting the beauty pageant that both June and Bob hosted for several years together.